This 3-hour workshop will start with a energizing yoga flow, followed by a deeply relaxing sequence. The theme of the workshop is how to pursue your heart-felt desires with power and love. The workshop is about single-mindedness, focus and personal power. Personal power comes from a centered place, from decisiveness, a feeling of oneness, self-worth, surrender and happiness. Self-love is the key to lovingly follow your own path and to be grounded in a consciousness seeing good, hearing good, doing good. Following your own path then becomes a blessing for everyone involved. 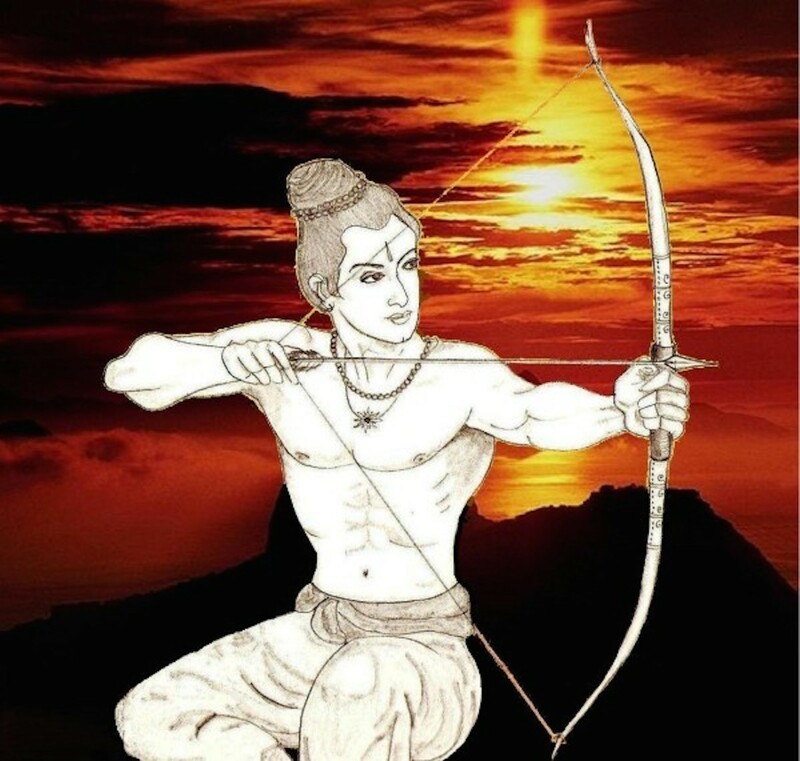 Rama, in the picture of this post, is the archetype of the warrior for the good cause. He is an embodiment of dharma and righteousness. His wife Sita in this Indian epic represents the Awareness of the Universal Absolute. Rama and Sita work together. The workshop will give you some beautiful examples of Rama’s wonderful character and gives you easy-to-apply practices in accordance to find and to adhere to your own dharma. Follow your own path with focus and love! The workshop is suited for all levels. Beginners and advanced students are welcome. There is something in for everyone. The workshop takes place at YogaNation, Seefeldstrasse 7a, 8008 Zürich from 9:30am to 12:30pm. The price is CHF90 for the 3-hour workshop; CHF80 if you bring a friend or friends, for each one of you. Please send an email to register to simplyloveyoga@gmail.com. Sandra Veronika Gross is an advanced yoga teacher and a Rose Program Certified Counselor for nutrition and detoxification. She helps people with a busy schedule to engage in a healthy life style in their own pace to be full of joy, follow their intuition and experience inner peace.